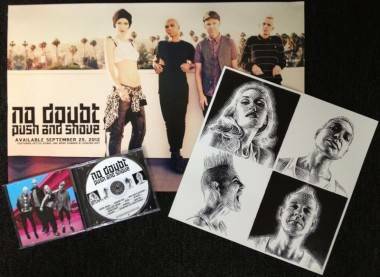 Contest – enter to win the new No Doubt album! You can also leave a comment below telling us your favourite No Doubt song. One comment and one tweet is one entry each, for a maximum of two entries. We’ll make the draw next Tuesday, Oct 2, at noon PST. The contest is open to North America residents only. Push and Shove is now available for pre-order on iTunes in standard and deluxe editions. In addition to the 11 original songs that make up the album, the deluxe features four bonus tracks. This entry was posted in Contests and tagged No Doubt. Bookmark the permalink. My favorite No Doubt song is Sunday Morning. The song played live is amazing. The energy is off the walls. 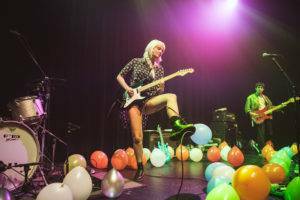 No Doubt is such a fun, dynamic and unique band! It changes day to day but today I’m gonna say “Simple Kind of Life” is pushing the right buttons.